Through our W2R AMBASSADOR Shirley-Pat Chamberlain we were able to connect with the Principal of this recently opened elementary school. The problem is that they have a really nice & newly built school which does not have a library. Bring in the design team of W2R ARCHITECT SCOTT KEMP, W2R TEAM LEADER BOB BLACKER and AMBASSADOR Shirley-Pat Chamberlain – mix it with Grade 7 Students magical things can happen…. 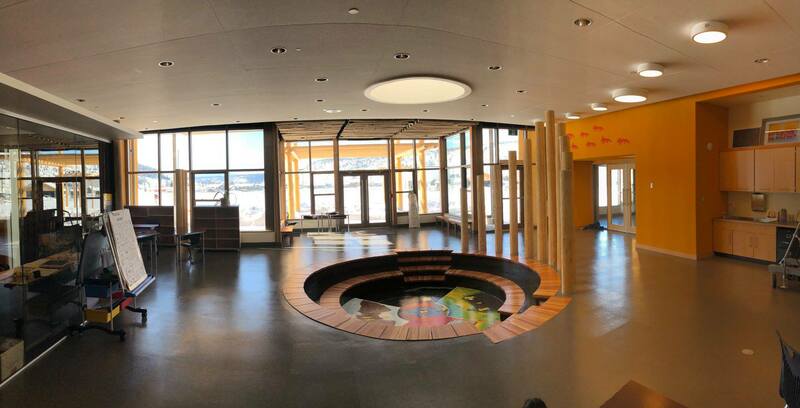 We had an amazing lunch and session with the kids in the end we had designed where the shelving (made by our team at Nanaimo Correctional Centre) would be placed. So all that is to remain is for our W2R Library Response Team leader Margaret Fletcher to visit the school to review what books they would like and our ABORIGINAL BOOK distributor GOODMINDS BOOK and Jeff Burnham to be contacted by the school for purchase of aboriginal authored books – we will have a cool library….. This was our first session that we have had with students from an elementary school….. and it was a blast!